You may think traveling during the winter is going to cause you packing issues, that you’ll have to bring more clothes to stay warm, but this is not necessarily the case. There are actually plenty of space-saving tips you can follow, even in the cold weather. Whether you’re traveling in Northern Europe or southern Mexico, here are those hacks plus a few more to help you on your winter vacation. Cold weather is nothing you want to mess around with, and getting caught unprepared can make for a miserable trip. Although different people have different tolerances, cold weather can cause many problems for someone if they are not prepared. Luckily, it is very easy to be prepared: checking the weather and understanding how cold it might get wherever you are traveling is helpful, as it lets you plan a worst case scenario. This way you do not have any major surprises, and you can pack accordingly. It is dizzying how many coats there are out there. Once you know what the weather will be like, you have an idea of what coat or coats to bring. You can easily wear a heavier coat with thermal technology for cold situations and then wear a lighter coat underneath the warmer coat for when it is not so cold. Cold weather goes up and down, so having two coats is better than one. It helps to try on the coats and if you can test in cold weather it would be best. Spending a little more for a coat that is well made to keep you warm is worth every penny. Having clothes made form the right material means you don’t have to go thick to go warm. Case in point: the most popular travel clothing is merino wool which has always been an excellent fabric for cold weather. Pack Merino wool clothing for easy, space-saving, warm clothing. It is insulating, breathable, comfortable, and the best part about Merino wool is that it can go for months without washing and still retain its freshness. This means you can get away with packing fewer articles. Outside it is cold and inside it is hot and dry – the only way to combat this is by dressing in layers. A Merino base layer, a button-down shirt, a button-down sweater, and then a coat works for comfort when traveling to cold places. You can peel away the layers when necessary, and you can layer up when getting on the plane to save space in your suitcase or carry-on. 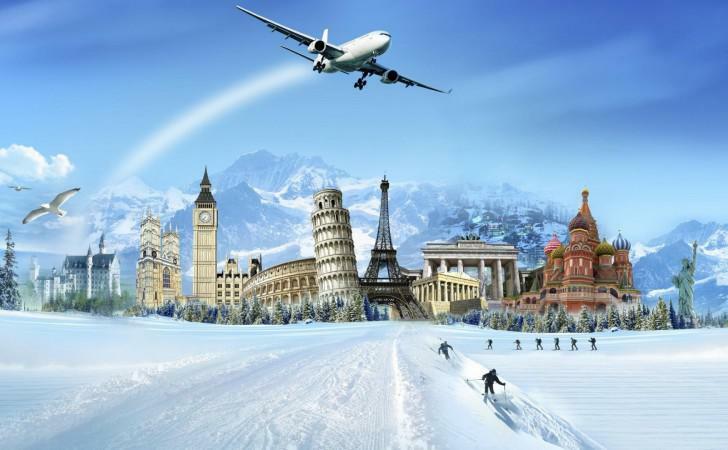 Your comfort and safety are always important when you travel to cold places. With the right clothing and coats made from materials like Merino wool, you can feel warm without feeling overburdened by a bulky bag. Next time you go on a winter vacation, wherever it may be, keep these four travel hacks in mind. Posted in Destination and tagged with tips, travel. RSS 2.0 feed.